Transitions – How long does it take to adjust? It is an understatement to say that moving to a new country is never easy. We humans may be advanced creatures who have the technology that allows us to wake up in Trinidad one day and go to sleep in Singapore the next, but we still have some basic instincts, and one of those instincts is to have a normal routine in a familiar environment to feel safe and secure. But when you move away to a foreign land, you leave your comfort zone behind, and surrender yourself to a wide range of uncertainties and difficulties. New languages, new weird food, new weird people who may think YOU are weird, weird things like pillows full of beans instead of feathers (that’s Japan), rules about when to take off your shoes, different social etiquette, train systems you need to memorize in order to get around, names you can’t pronounce… the list of things you have to learn are endless and it is pretty much sink or swim. Through this blog I’ve gotten in touch with a lot of other Travelling Trinis who are abroad in far away places, so I decided to ask them how long it took to adapt in their new countries, and what, if anything, helped with the transition. These are their answers. Two years ago, if I had to pick the last place on earth that I’d like to live, Indonesia would’ve made the top 10 on that list. In spite of that, when my company offered me a post in their Jakarta office, I accepted the job on the premise that it’d one day make for a good story and at very least, earn me a little extra cash. To say that Jakarta was a bit of a shock to the system would be an enormous understatement: The place I had envisioned on my plane ride down was a conservative tropical island with slightly less pork availability than back home. What I found was a filthy mess, an over-crowded port and a mass of contradictions. The country with the largest Muslim population in the world also plays host to the city with one of the biggest pollution problems, perpetually gridlocked traffic, the greatest inequalities in wealth that I’ve seen, and some of the most notoriously seedy nightlife in Asia. This was a far cry from the Bali postcard pictures I had in my head. Was I really in a country famed for it’s tranquil beaches and yoga practitioners? People smoke in elevators for God’s sake! Surviving in Jakarta requires a laid back outlook, and having on several occasions been referred to as the “most uptight West Indian ever” I had doubts about my ability to cope. I felt like I had hit rock bottom on one day in particular. My passport was stolen, I had a “peeping Tom” at my window and I had just about had it with this awful excuse for a city, but couldn’t leave thanks to the passport thief. In an effort not to be defeated, my attitude slowly changed. Things I hated about Jakarta gradually came to be things that I secretly liked about it. 3 hours of traffic on a Friday afternoon? No problem, have your driver stock a cooler with drinks and ice, and the after-work lime starts in your car! The unpredictability of the city, which was the source of much frustration in the early days, became the most endearing thing about the place. Only in Jakarta could my trip to the grocery could turn out to be a random adventure; I loved that! In early 2011, my contract in Jakarta ended and an opportunity came along in Edinburgh. My home for the foreseeable future is now Scotland. Edinburgh in all respects is the anti-Jakarta. It’s clean, beautiful, ordered and largely predictable. On most days I love how easy life is here, and I’m looking forward to winter markets with cheap and abundant wine, but there are moments when I reminisce about Jakarta’s chaos and its element of surprise. For now, I’ve traded on my nasi goreng for haggis and enjoying getting a handle on my new city. Life in Okinawa is different to other parts of Japan, mainly because there are several American military bases here so the usual adjustment to being gaijin (foreigners) wasn’t too big for me. My biggest hurdle after initial culture shock was winter… and a mild one at that! I think it took me about 8 months to truly feel at home here. My biggest coping strategy was cooking. Food was my comfort, especially familiar foods. Though, I can’t tell you the day it all came together in my head. Adjusting to life in Japan improved when I created what I call “own my space”, that is, knowing how to move around and make plans the same way I did back home and think less of the language as a hurdle. I found a church, albeit Japanese, made some friends, talked to my neighbours and discovered a real world outside of ‘gaijin-land’ where locals and foreigners enjoy alike (aka a salsa club)… that helped big time! I can’t say how long it took me to adjust to life in Croatia, as I worked for many years on a cruise ship and was used to living out of a suitcase, and in fact part of me is ready to go back to the suitcase way of life after being here for 10 years! I think I was open to the idea of living in another country so it did not take me long to adjust, plus I had visited Croatia on a few vacations before actually moving so it was familiar, and I had a lot of stuff here already. The cruise ship is where I met my Croatian husband. I’ve always dreamed of living in Europe so after we got married we moved back to his home town. When I first arrived here I thought I came to a backward country. There were no fast food outlets or shopping malls! The groceries were small and I had to drive around to numerous grocery stores before my shopping list was complete. I was unable to get simple things like salad dressing, BBQ sauce, ginger, condensed milk and even Tampax! Who would have thought? On top of that I also got stares everywhere I went. 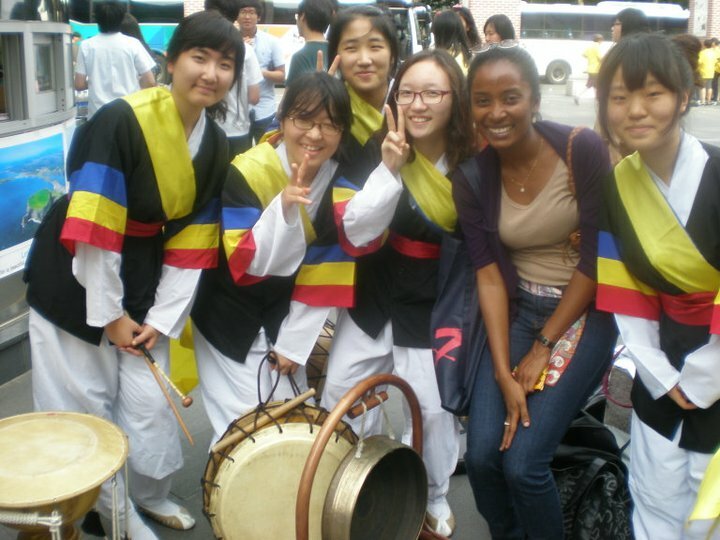 The locals were not used to seeing coloured people except on TV, so I was a feast for their eyes. They made it obvious too. A guy walked into a pole while watching me and a lady at the check out counter in the grocery stopped packing her bags to stare at me, then when I left the shop she came to the door and stuck her head out to watch me walk away. It was like that everywhere I went, people even asked me if it was possible for me to get sunburn! Ah… I have skin, flesh, I can feel… so yeah After a while I started to feel like I was an alien! Settling in with the family was not an easy task because of cultural differences and the language differences. I had to live with people who felt that my things were their things as well, so a lot of my stuff would go missing, and their way of thinking was not normal at all, even the neighbors would agree. That took me years to get used to, and ignoring the in-laws was harder than adjusting to life in the country itself! What really helped me adjust was making new friends, mainly other foreigners living here who went through the same thing. I even met another Trini woman! Unfortunately they hated living here so much they all left, so I recently formed an International Group in order to meet other foreigners and new-comers in my city, and made new friends who I can get together regularly with. Joining all the arts and crafts classes I could find to keep me busy and creative was also a big help. If you want to adjust to a new place you have to make the effort to put yourself out there and get involved in different things. 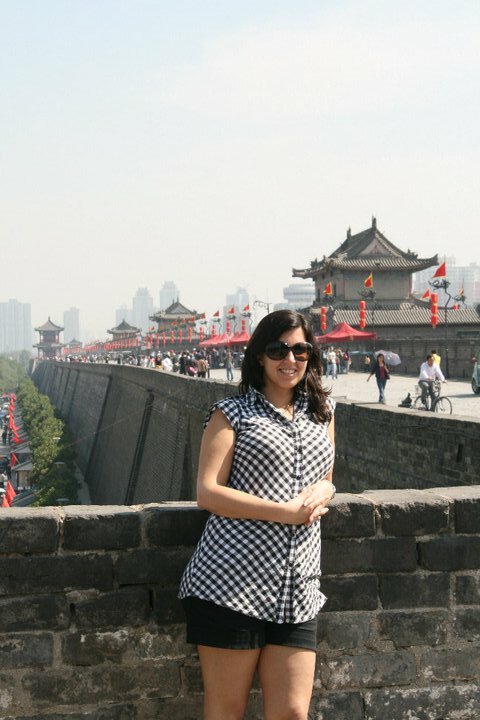 I’ve lived in 5 countries, and coming to China has been my hardest move yet. It has taken me one full year (where as it usually takes me 3-6 months) to adjust and feel comfortable. The language, both written and spoken, has been a significant barrier. However, nothing could have prepared me for the cultural differences and social norms in China. I have never felt more different and more foreign. Making friends here who feel the same things I feel and understand what I am going through has been a huge help. A good laugh with friends is so important. More than anything though, it took time. With time I’ve learned to be patient, tolerant and accepting of our differences. With time, I found a place to get a pedicure, buy cheese or find chicken breasts. I learned to say my address in Chinese, tell a taxi driver when and where to stop, and how to ask for “one more cold beer”. With time I learned that I was saying “Chinese people are very bad” when really I was trying to say “my Chinese is very bad”. Dining out is always interesting. I’ve learned to surrender myself to eat whatever the server brings me when I go to a restaurant. In a nutshell, I’ve had to allow myself more time than usual to figure things out and laugh it off with good friends! thanks for posting, but thats the wrong picture, people are going to think i live in a winter zone when i really live on the coast lined with beaches!!!! 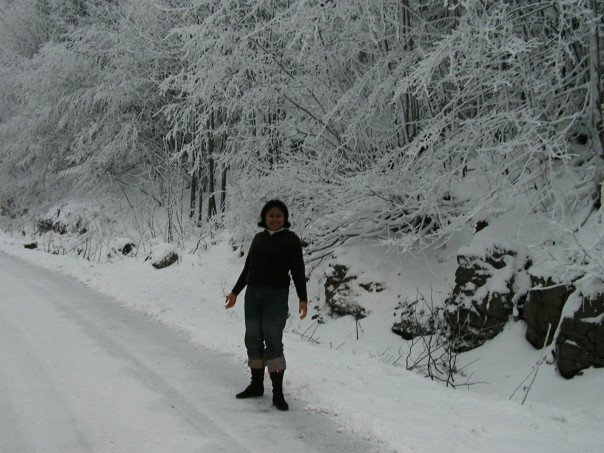 That picture was taken Christmas time in the mountains. Well i just recently moved from a tiny country in southern africa (called Swaziland) to Kansas City! the adjustment has not been easy. i have been here for two months now and keep feeling like i have cabin fever and i just wanna get out of here and head back home. How long do i need o give myself in order to adjust properly cos i am finding that i am also getting VERY DEPRESSED even though i am involved in a few groups for various things. Pleas help – how long should i give myself?? ?